Many problems in image processing, and computer vision can be viewed as translating an input image into a corresponding output image. Just as a concept may be expressed in English, a scene may be condensed as an RGB image, a gradient field, an edge map, a semantic label map, etc. In analogy to automatic language translation, we define automatic image-to-image translation as the task of translating one possible representation of a scene into another, given enough training data. Here we explore GANs in the conditional setting. Just as GANs learn a generative model of data, conditional GANs (cGANs) learn a conditional generative model. 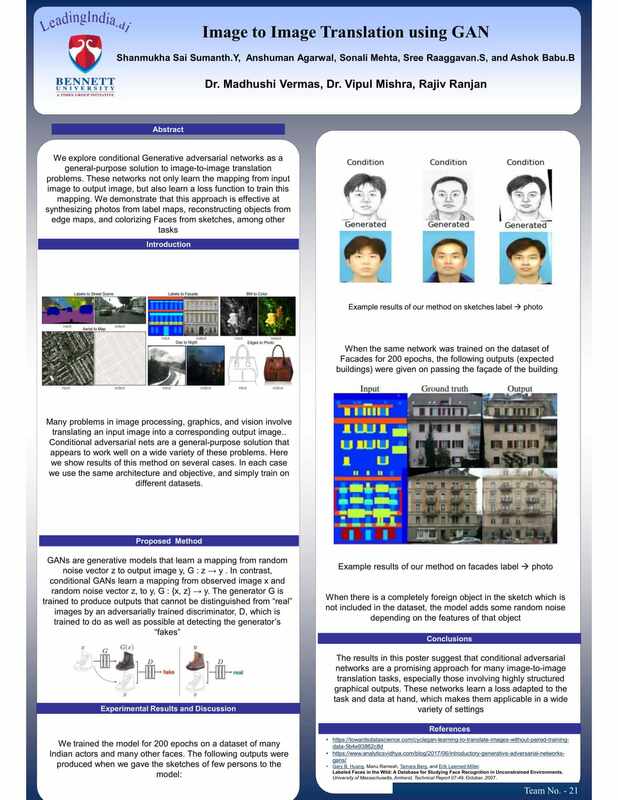 This makes cGANs suitable for image-to-image translation tasks, where we condition on an input image and generate a corresponding output image.